We were off to a slow start when our driver (after negotiating an hour’s worth of Bangkok traffic) dropped us at the wrong Centara. 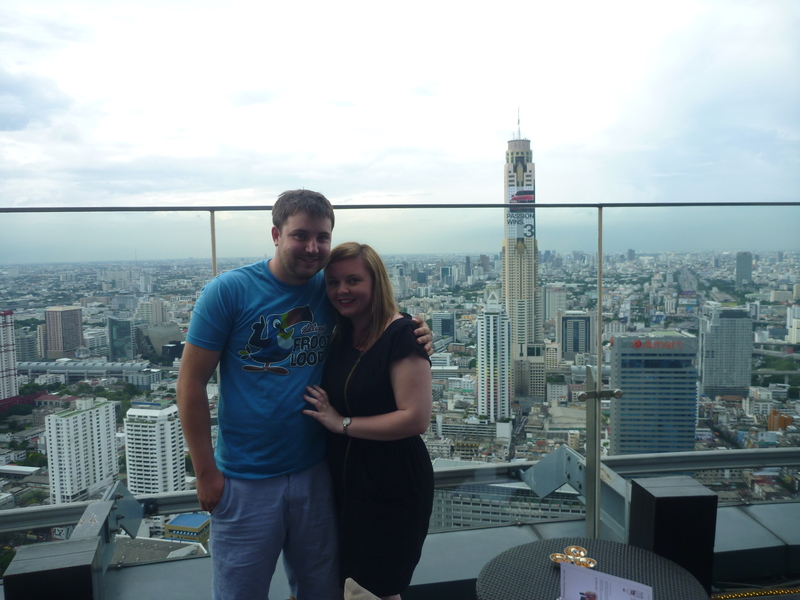 We were booked into the Centara Grand at Central World and not the Centara Grand Central Plaza. After a long flight we were weary and didn’t notice we were at the wrong hotel until well after the driver had gone, leaving us to schlepp across town to find the right hotel. When we reached our hotel, it’s fair to say we were glad we were booked at the Central World Centara and not the Central Plaza – the Central World just nails the wow factor as soon as you walk in. The check in staff were friendly and helpful. It was so late by the time we reached our room that the restaurants were closed so room service it was; we promised ourselves this would be the one and only time we ordered pad thai on this trip (we wanted to sample more quirky local foods) but alas – the dish was disappointing and set in motion a ten-day quest for an authentic version. As is often the case in Asia, the bed wasn’t particularly comfortable for my Aussie bottom and the room did have a couple of quirks; for example one of the lights in the room wouldn’t turn off which made for some restless nights but the room itself was lovely and spacious, very clean and the bathroom was excellent. What you want is a massive tub to soak in after a gruelling day shopping at one of Bangkok’s mega malls or markets and that’s exactly what this bathroom had. There are some things you don’t really expect at a five-star hotel: the restaurant running out of spoons at breakfast, paying through the nose for internet, having to call up at 5pm because your room hasn’t been made up etc… but hey, it’s not like any of these things ruined our stay. The hotel itself is in a decent location – in the high-end Western district of Pathumwan so it was nice and close to MBK and the Paragon mall but harder to get to Patpong night markets, Chatuchak etc. One night taxis and tuk tuks flat-out refused to take us to Patpong because of the traffic which was pretty disappointing. 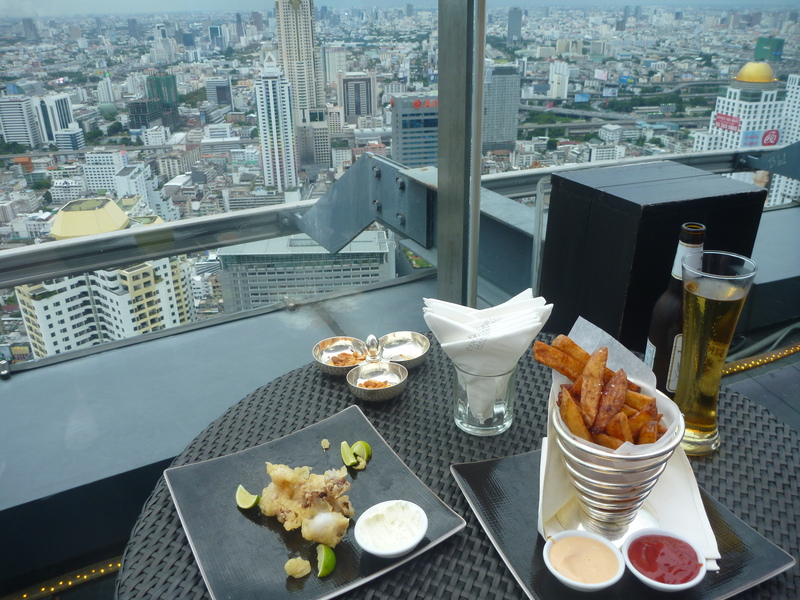 The Red Sky bar on the 55th floor really was the highlight (and actually what drew me to this hotel in the first place) – amazing food (we had the squid), delicious cocktails and breathtaking views over the whole of Bangkok. Overall would I stay there again? Absolutely, although I’d consider an alternative like the Banyan Tree which is a little closer to all the action. Great post! I haven’t been to Bangkok is 40 years – now you have me thinking about it again. Watch what you eat – you need to eat healthy now.